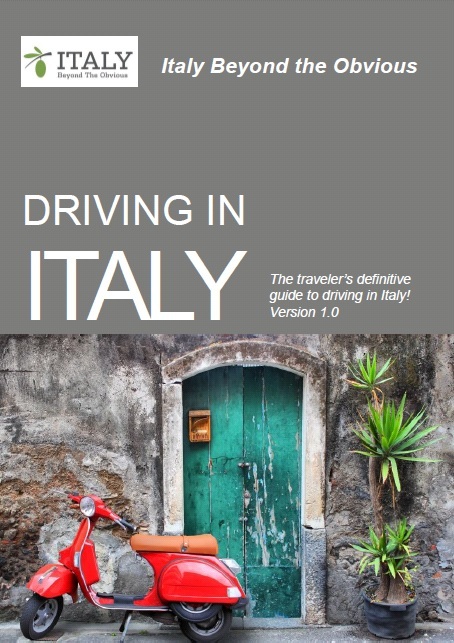 Brainstorming Italy itineraries: Oh, the places you’ll go! This is my favorite part of my job. After some brainstorming, I came up with 3 possible itineraries I think these clients would love. Frankly, I don’t know how they’ll choose! Since you’ve been to the Cinque Terre, explore other parts of this beautiful area. With a base in the fishing village of Camogli, spend a few days exploring the Portofino peninsula: hike to the Abbey of San Fruttuoso and take the boat back. 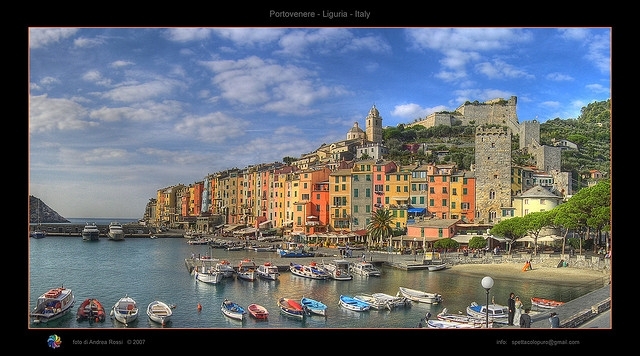 Or continue by boat to the lovely towns of Portofino (arriving by boat is spectacular! ), Santa Margherita Ligure, or Rapallo. (The gelateria next to the boat dock in Rapallo is a must-do!). Spend a day in the gorgeous city of Genoa: do a walking tour that starts with the city’s Old Town and Harbor and ends with a tasting of the region’s local specialties. Then, take the train down the coast a couple of hours, skipping the Cinque Terre, and explore the Gulf of the Poets: the small and picturesque towns of Portovenere, La Spezia, and Lerici. The short seaside walk between the towns of Lerici and San Terenzo is just lovely. You could also spend half a day in the marble quarries of Carrara, on a jeep tour exploring the area Michelangelo used for his marble. Highlights of this itinerary include hiking, coastal views, seafood and pesto, small fishing villages, seaside walks, and boat rides. In addition to scenery, this area is fantastic for hands-on activities. Don’t stay in the busy towns of Sorrento and Positano in high season – base yourselves a little further down the coast. Visit a water buffalo farm where the famous bufala mozzarella is made (and must be eaten within 24 hours). Learn how to make limoncello with local lemons. Do a pizza class with a true Neapolitan pizzaiolo. Get a gelato and walk along the sea during the daily Italian passeggiata. Spend an afternoon doing ceramics in Vietri sul Mare. Do a cooking course and learn about why the town of Cetara is famous for anchovies. Hike the Path of the Gods one morning, and then have a long Italian lunch at a restaurant famous for its seafood, with incredible views. Spend an evening listening to classical music at an outdoor concert in the picturesque town of Ravello. Then, take a boat to the island of Capri. Spend a few days here – don’t do it as a day trip with everyone else. 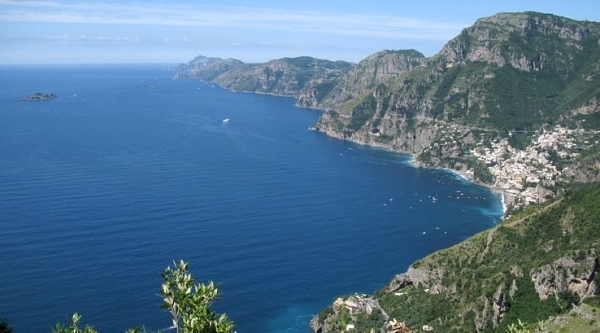 Spend a day or two hiking some of Capri’s best trails and enjoying the views. In the evenings, enjoy the vibe after the last boats have taken day trippers home. Spend one entire day on a boat off Capri, swimming and exploring the island’s coves and famous rocky formations, like the Faraglioni. And sure, join the other tourist boats for a view of the Blue Grotto. Note that it will take you a full day to get from the Amalfi Coast up to Cannes by train. Highlights of this itinerary include seaside towns and spectacular coastal views, hiking, boat rides, and lots of hands-on experiences. Take a piece of the Liguria itinerary (either the area around Portofino or the Gulf of the Poets) and balance that with some nearby countryside: head inland for a few days to explore the foodie region of Emilia-Romagna. Stay at a farmhouse where parmigiano is made or stay in the town of Parma itself and spend a morning visiting a parmesan cheese factory. 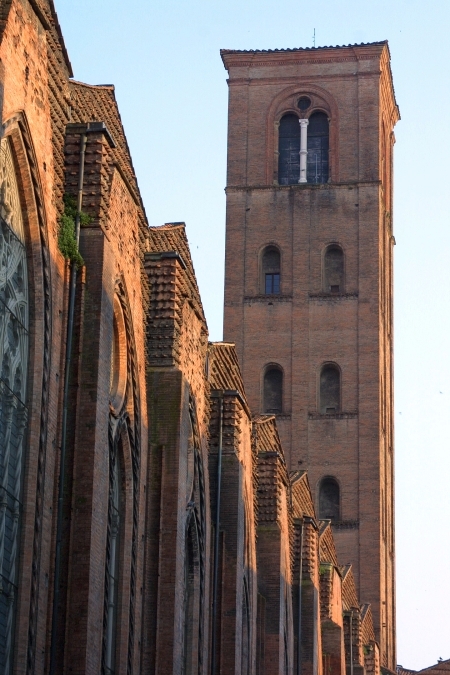 Visit a few of the fantastic castles in the area, and do a balsamic vinegar tour in the lovely town of Modena. Spend a day or two exploring the city of Bologna, people-watching, climbing a tower or two, and eating incredibly well, including an evening enjoying a home-cooked meal by a local and some nightlife. Spend half a day biking in the pretty (and pretty flat) Po valley. The Verona Opera season starts mid-June so we’ll book you tickets for Aida or Nabucco or La Traviata, an experience of a lifetime. From there, getting to Cannes is just a few hours. Highlights of this itinerary: you get seaside views and hiking plus countryside biking; castles; amazing food; small fishing villages and larger historic towns plus one incredible opera. So, which one would you choose? Italy Beyond the Obvious will help make your trip truly memorable. Take advantage of our Italy trip planning services for a customized itinerary, or get coaching assistance with our Italy travel consulting services. And if you like what you read, why not subscribe to the Italy Beyond the Obvious blog and get free updates? Hello! I just perused at length your websites. I was struck by how well our Inn, Genius Loci, http://www.geniuslociumbria.com would fit in with your philosophy and level of “unique luxury with a soul”. I would welcome sharing more info with you about my ideas for a possible collaboration with the itineraries of your clients traveling to Umbria. I will contact you by email and would look forward to your thoughts after you have visited our website. Thanks. Mary, owner of Genius Loci.